As veterans, we served with and often depended on interpreters, translators, and other local allies to carry out missions in Afghanistan. Many of these individuals’ lives are now in danger as a result of their service. When we served in uniform, we were taught to never leave anyone behind. 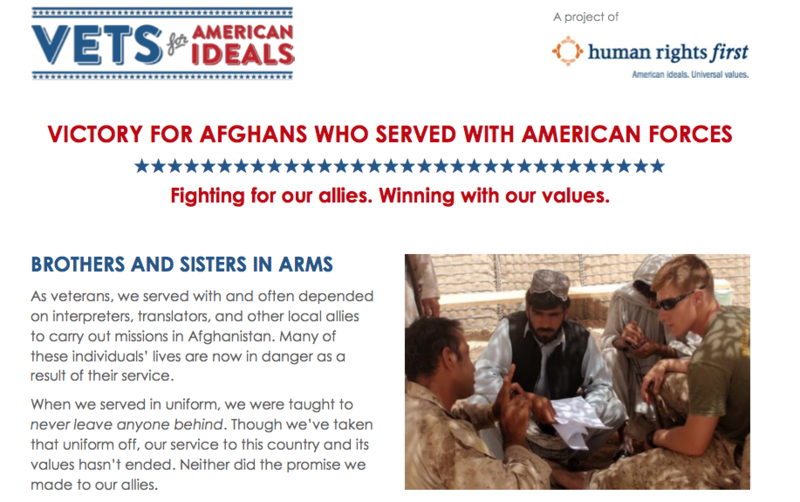 Though we’ve taken that uniform off, our service to this country and its values hasn’t ended. Neither did the promise we made to our allies. For the last two years, we’ve been fighting to keep that promise. That fight’s not over—but we’re succeeding.